Oak: You will find plenty of both white oak and red oak on the market as these are two of the most common wood species used in hardwood flooring. The flame-like pattern and oak lend a beautiful appearance. Red oak is a little less durable than white oak but is preferable when your goal is to absorb shock. Pine: There are many different types of pine, which is adored for its snotty grains that are softer in appearance than that of oak. The most common pine species used in flooring are Southern Yellow Pine and blue pine. The main difference between the two is that blue pine often contains areas with a bluish-black sap stain. Walnut: The wide variation of color tones in the walnut family give it a wide audience in the hardwood flooring industry. Whether you are looking for a medium brown to even an almost purple hue, you are likely to find a product that suits you. The long brushstroke appearance of its grains gives it a soft appearance. Australian Cypress: If you are looking for something a little harder than oak and with the knotty texture of pine, this is a hardwood flooring species worth looking into. Colors range from a honey gold to brown with a cream sap wood. Thai/Burmese Teak: Considered an exotic species, this wood is adored because it becomes richer in color when exposed to the sun rather than bleaching out as some other species can experience. Its highly inconsistent texture lends itself well to a unique application. When shopping for hardwood flooring, be sure to look past the color and into the wood grain itself. 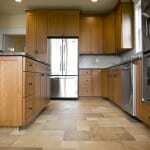 It is also important to discuss with your flooring professional what your expectations are. 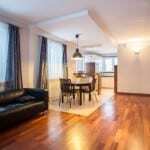 For example, consider if you want your hardwood floor to gain character from inevitable foot traffic or do you need a very hard wood species that will stay looking the same longer. Here at Wright’s Carpet, we are happy to provide the information you need so you can feel confident your hardwood flooring will meet your expectations. We make it easy and affordable to get the stylish result you desire. Stop by our huge showroom and see our selection or call us to arrange an in-home appointment.